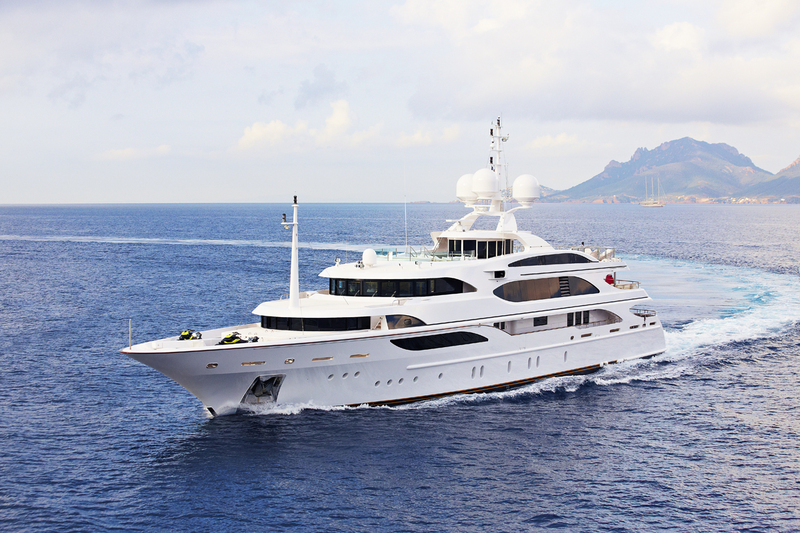 A superyacht charter is the ultimate experience. 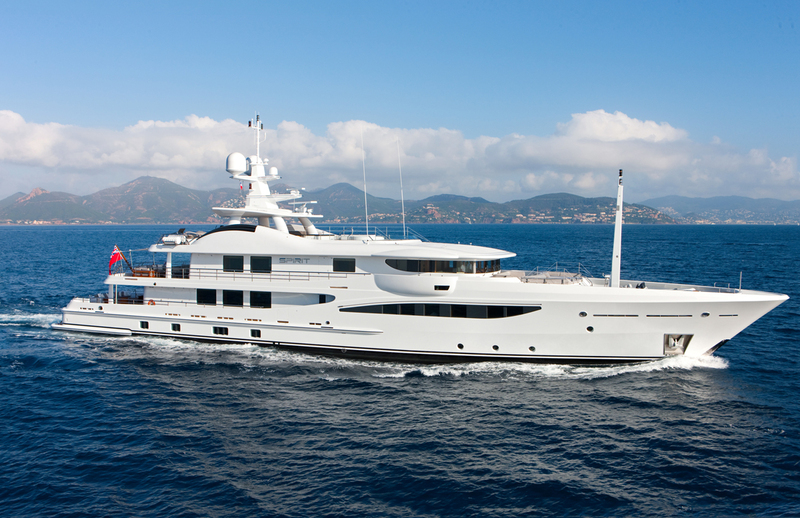 Buying a superyacht also gives you the ultimate freedom. 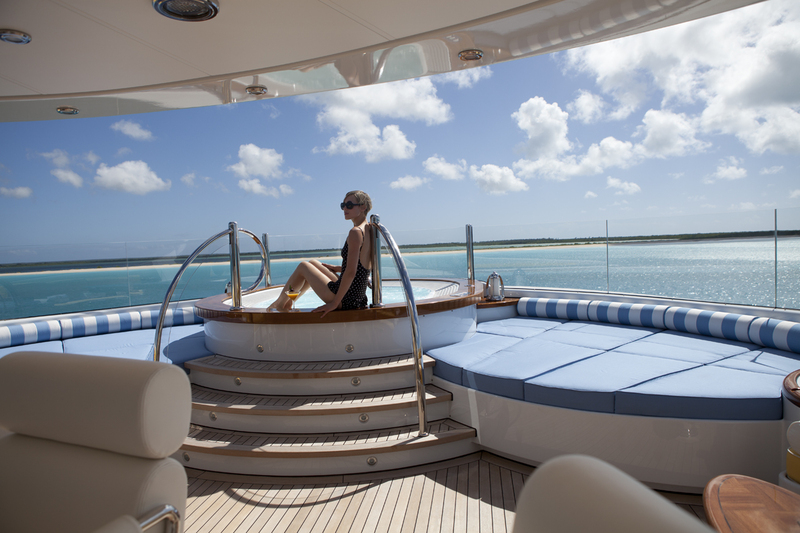 Escape with your family in privacy onboard an incredible yacht with a captain and crew at hand to cater to your every preference. 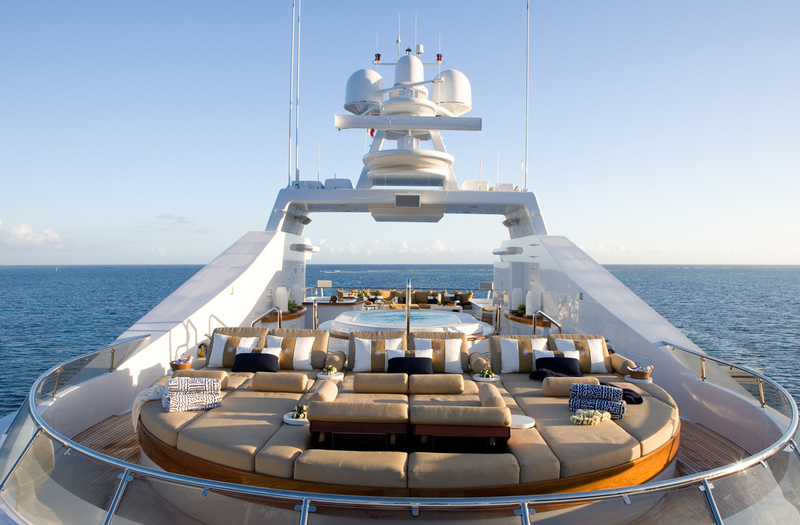 The sundeck is always a popular spot onboard. 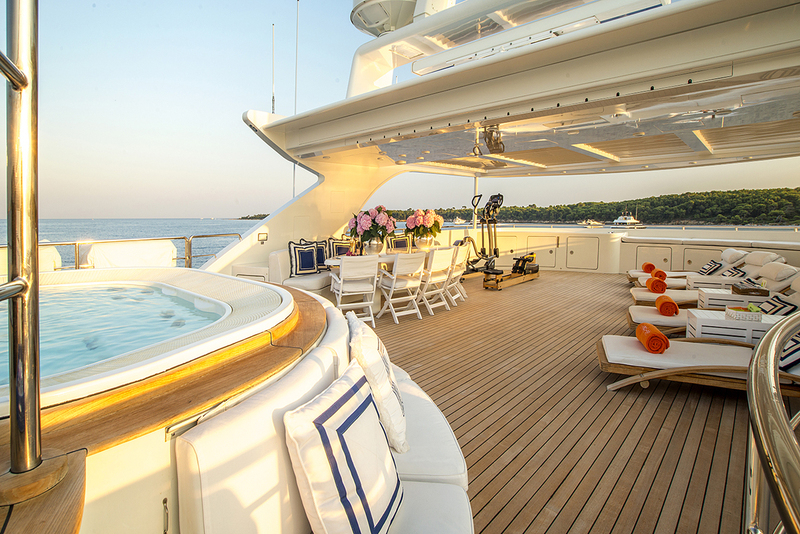 Many charterers spend all day on the sundeck. 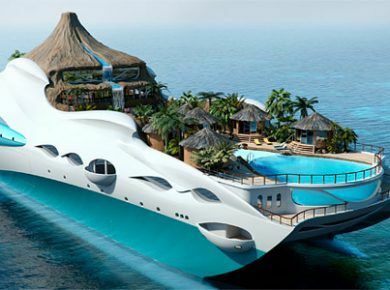 All sundecks and all yachts are unique, but on every sundeck there’s enough to keep guests entertained and relaxed all day. Hang out in the Jacuzzi. Enjoy a barbecue or other six-star cuisine freshly prepared to your tastes by the onboard chef and served on the open air dining table. Work out with the onboard gym equipment or enjoy an onboard sunset yoga session – professional trainers and instructors are often on the crew, otherwise specialists tailored to your requirements can be brought onboard. By night, the sundeck comes alive for parties, discos, highly sophisticated themed dinners and incredible evenings of entertainment. 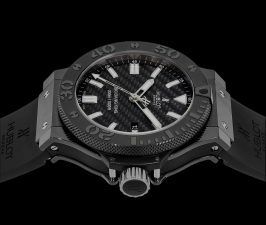 Many sundecks are fitted with state of the art sound and lighting systems, and artists and DJs can also be brought onboard to make the event even more exciting and unforgettable. 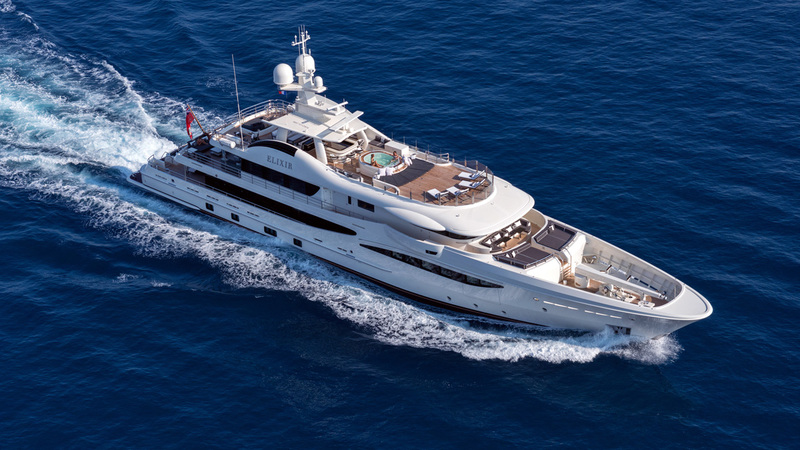 Yacht crews are skilled in entertaining and can cater for events onboard, with the finest champagne, cocktails and canapes, whether you’re celebrating a birthday or anniversary with family and friends or hosting a corporate evening with clients or business partners. 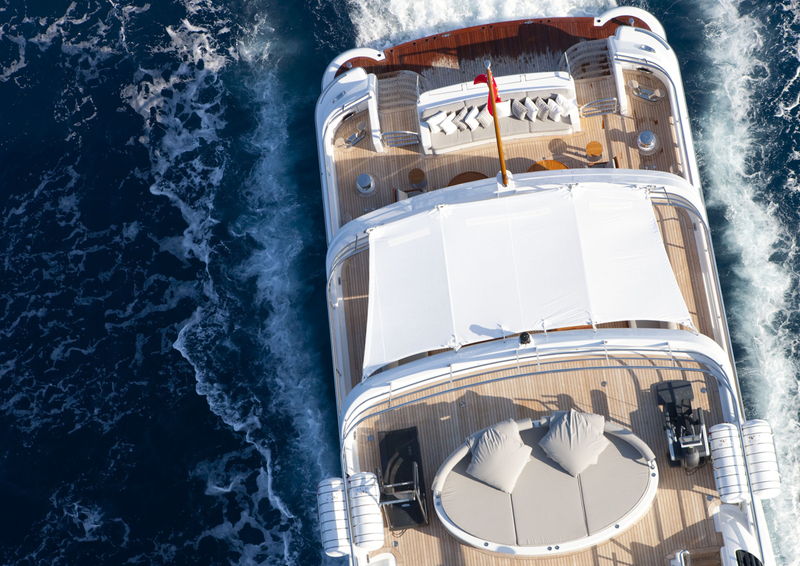 We have selected some of the most exciting yacht sundecks on the water, unique spaces that make an ideal setting for any onboard experience. 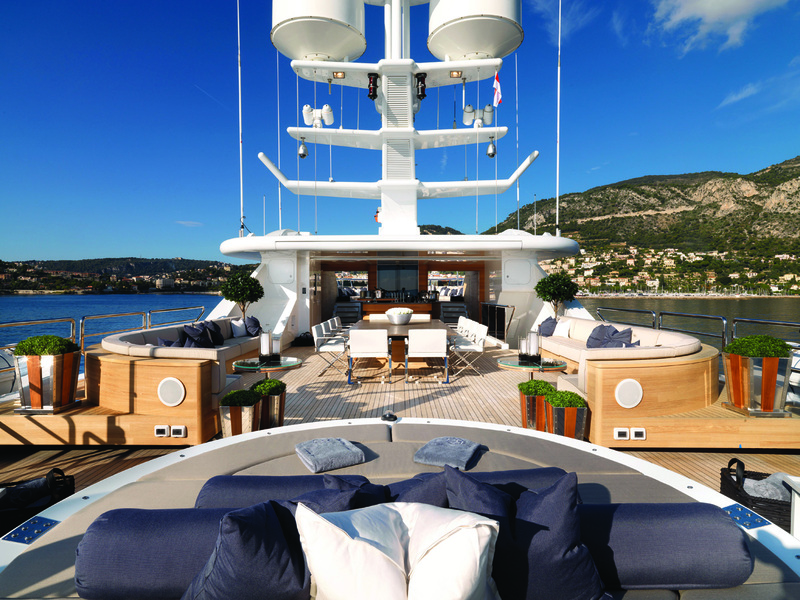 One of the best sundecks on the water is onboard 62 metre yacht SEALYON. 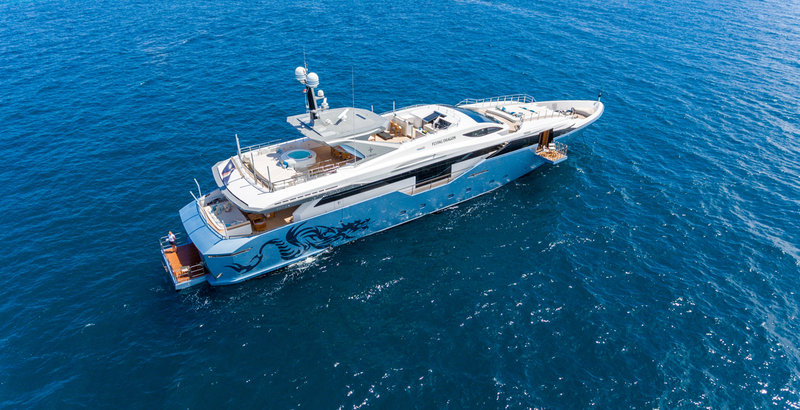 Designed in an opulent yet welcoming style by Candy & Candy, SEALYON has won the World Superyacht, International Yacht and SBID Design Awards. 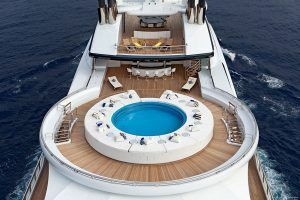 Split over two levels, the sundeck features a circular sunbed that rotates so guests can follow the sun wherever the yacht is cruising, and an outdoor misting system to keep those onboard cool at all times. Guests can dine on fresh food prepared by the onboard chef and served by the enthusiastic experienced crew, surrounded by panoramic views, or sip fresh cocktails at the sundeck bar. 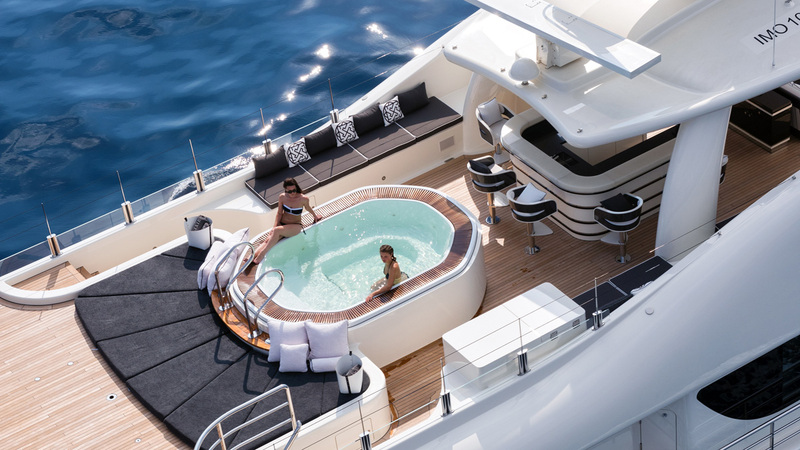 An oversized Jacuzzi is perfect for fun with family and friends. 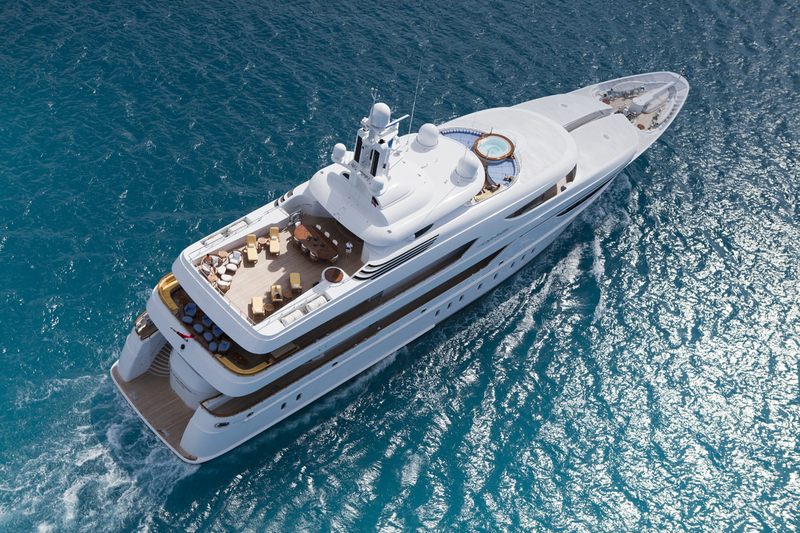 The sundeck on 55 metre ELIXIR, launched by Amels in 2016, is the most spacious ever seen on a yacht of this size. 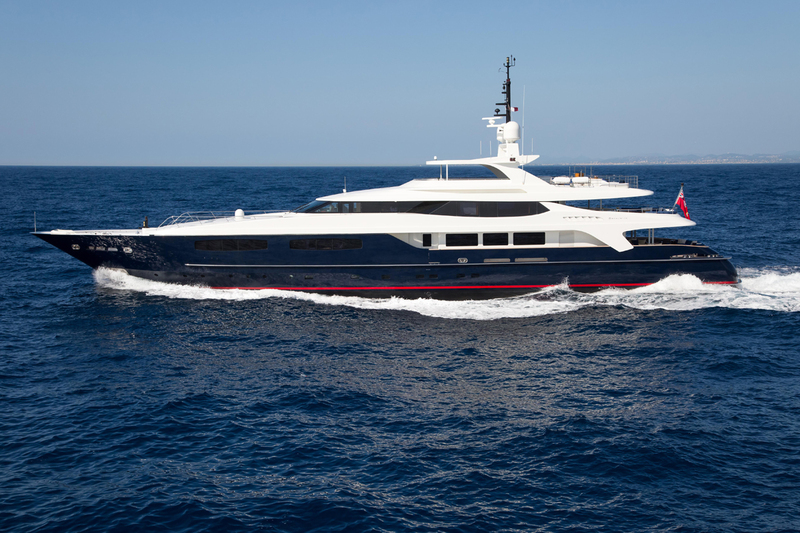 ELIXIR is one of the most exciting launches of recent years and was a showstopper at 2016’s Monaco Yacht Show. 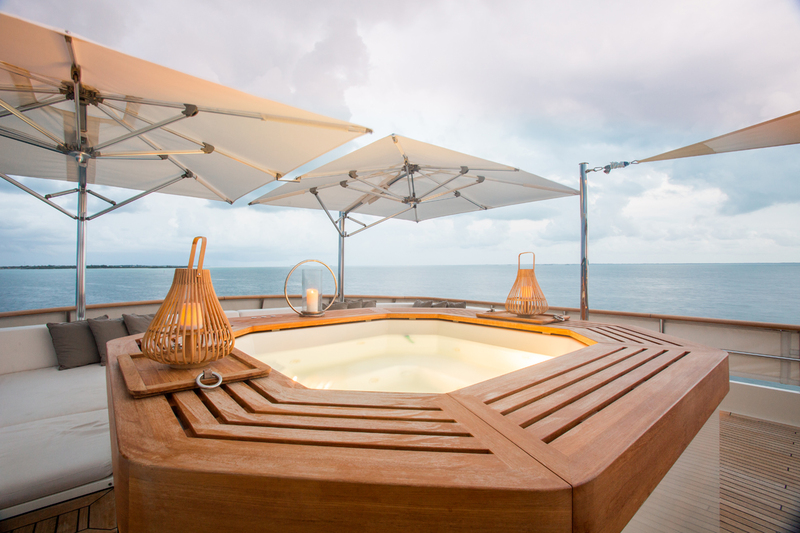 ELIXIR’s sundeck features a large Jacuzzi with built-in sunpads for the ultimate in sun worship and relaxation. 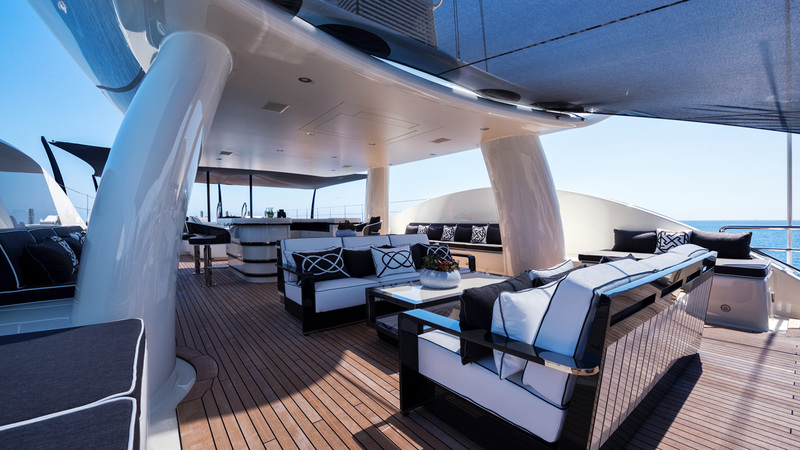 Numerous sunlounging and seating areas make this sundeck the ideal space for socialising, and the backlit onyx bar is the perfect cocktail spot. A BBQ setup enables relaxed dining day or night, and a retractable TV means guests can spend the afternoon watching sports or enjoy al fresco movie nights. 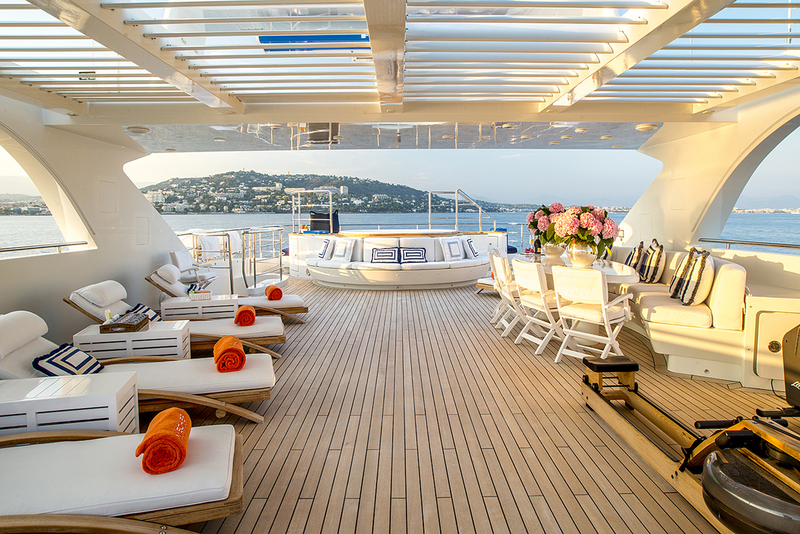 The sundeck of LADY LUCK reflects the unique opulence of her interior, which features fittings by Fendi, crystal detailing and walls covered with 24 carat gold. 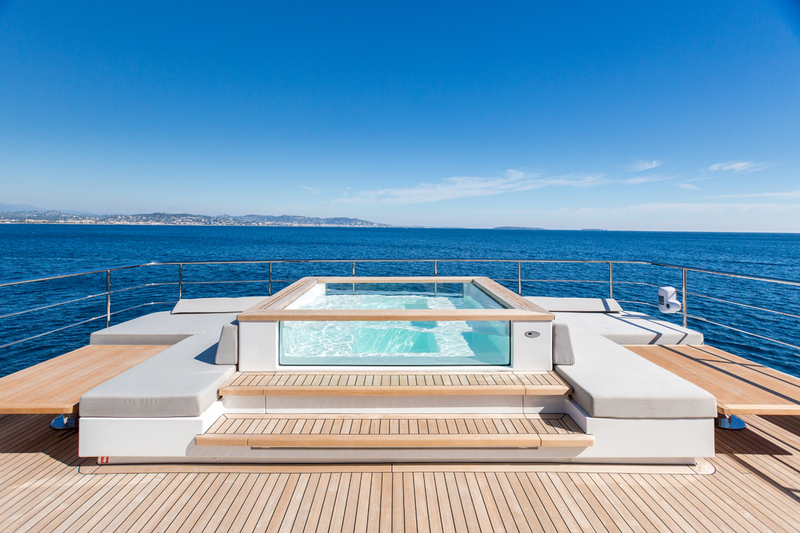 The highlight of the yacht’s expansive exterior spaces, the sundeck features a large Jacuzzi set into a raised platform with 270-degree views out over the ocean and your destination. Lie in the sun on two huge sunlounging pads shaded by oversized umbrellas. Glass screens surround the area for full protection from sea breezes. After a morning on the sundeck, take the elevator down to the beach club, where you’ll find a fully built-in sauna. 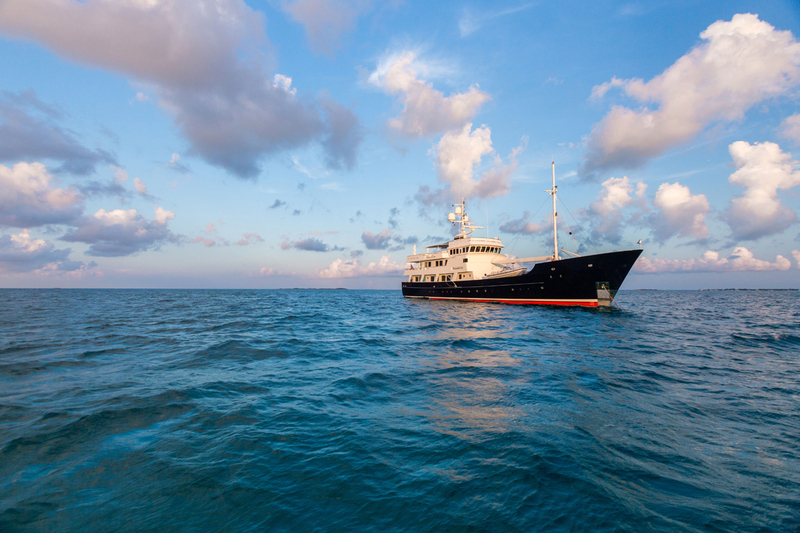 One of the most highly regarded charter yachts in the world, OASIS is known for its crew, who go the extra mile to create unforgettable experiences for guests onboard. 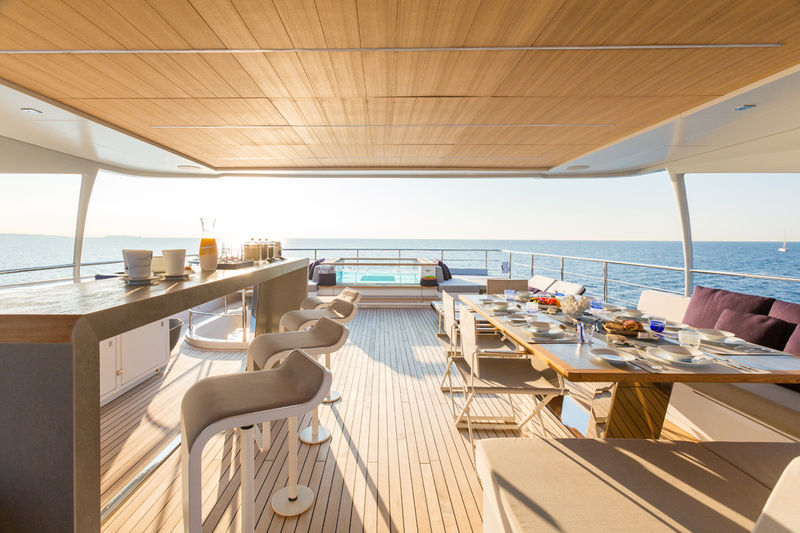 Featuring a built-in bar that’s great for entertaining, a Jacuzzi for chilling out and a barbecue area, the sundeck is also often the setting for incredible evenings. It can be transformed into a new world for a sophisticated soiree: for example, decorated as an Italian trattoria, with opera singers and romantic guitarists serenading guests from the tender. Guest can work out in the sundeck gym with the onboard personal trainer – this area also converts to a disco. Al fresco movie screenings or sports games can be enjoyed on the big screen. 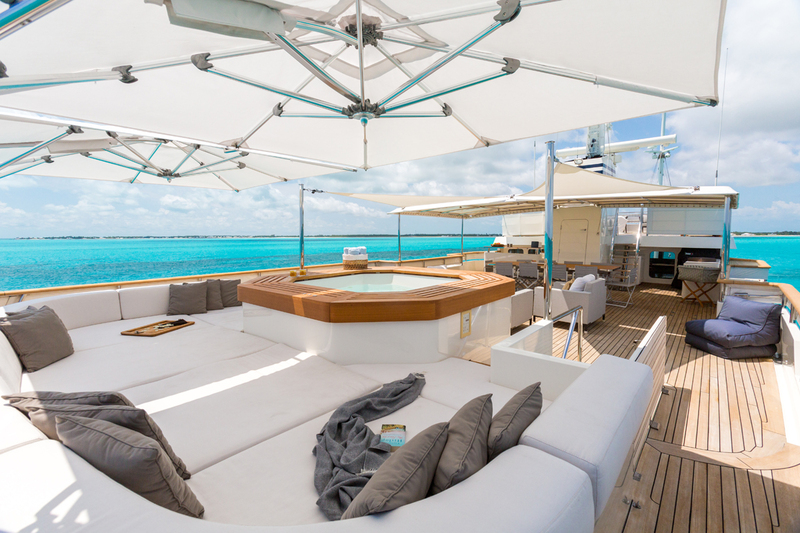 Designed with Zen-like, holistic, healthy escapes in mind, SPIRIT’s open plan sundeck features an exciting range of relaxing and socialising options. 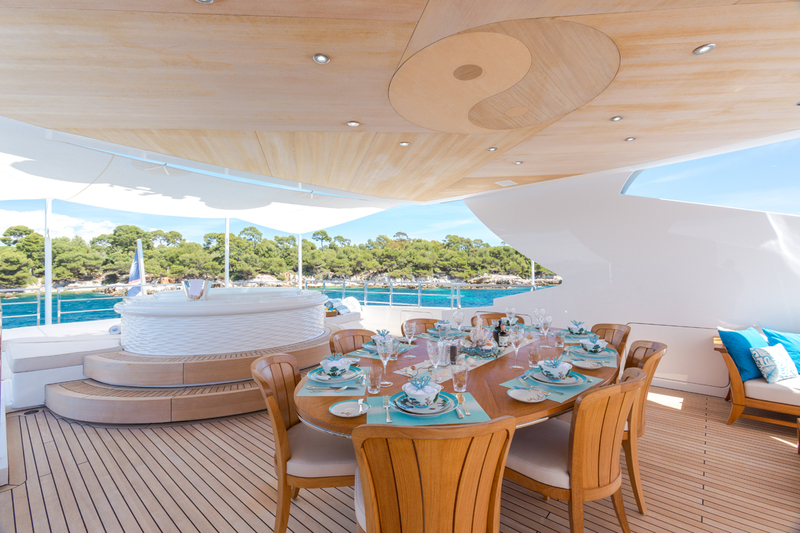 A full Teppanyaki grill, rarely found on a superyacht, is a unique touch. Freshly caught seafood and the finest produce from your cruising destination can be prepared Japanese style or to your taste in front of guests by the specialist onboard chef, a fun way to enjoy meals onboard with friends or family. 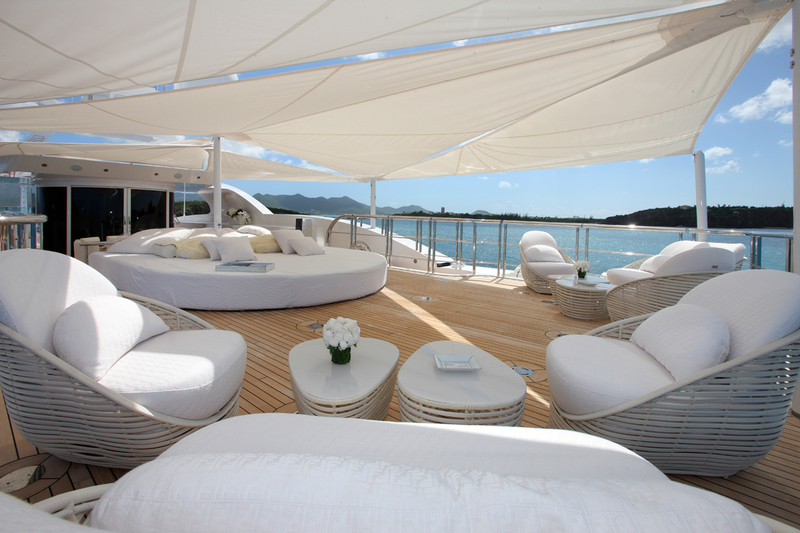 Shaded seating is also available for 14 people on this sundeck, and a granite bar is a great entertaining space. 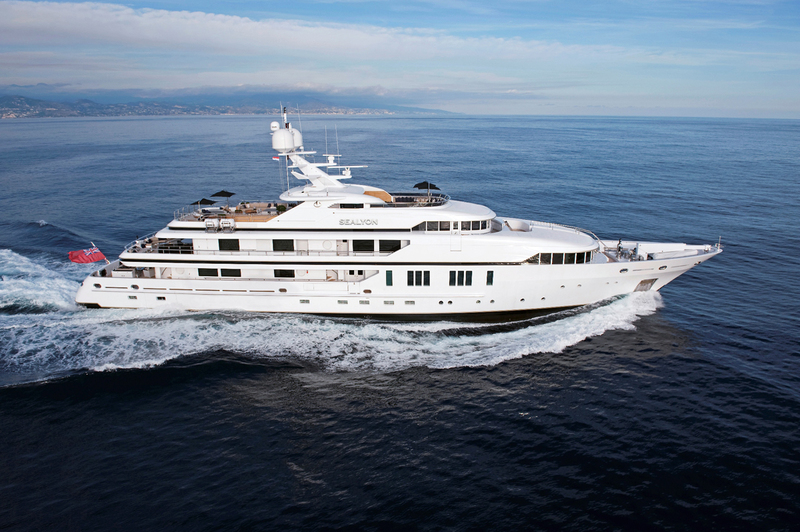 SPIRIT is equipped with the latest gym gear, including a crosstrainer and exercise bike, which can be set up on the sundeck for a workout with a view. Afterwards, jump in the Jacuzzi to cool off. 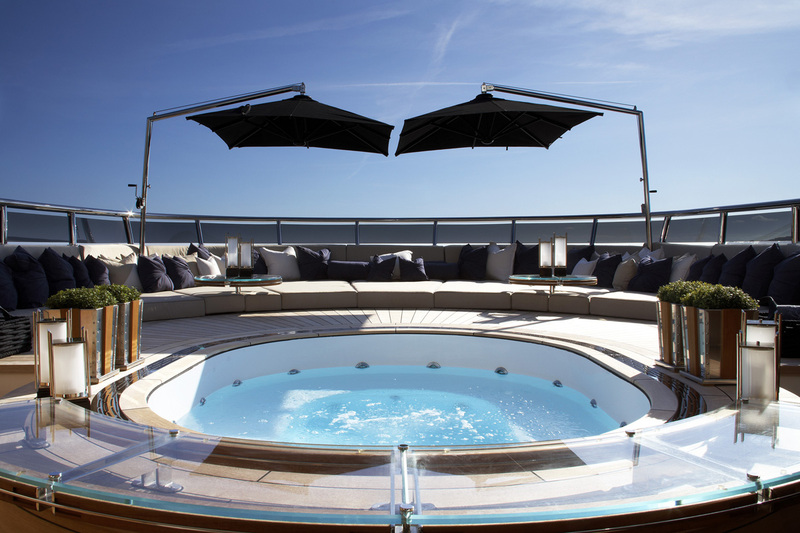 HELIOS’ sundeck was fully remodelled in a recent refit, updating this area to an exceptional standard. 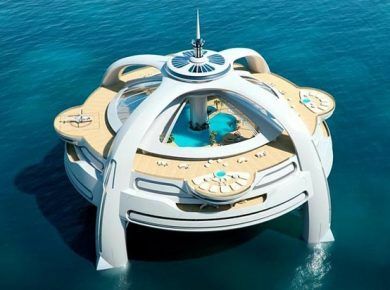 The huge glass-sided Jacuzzi is a unique feature, offering incredible views out over the ocean. 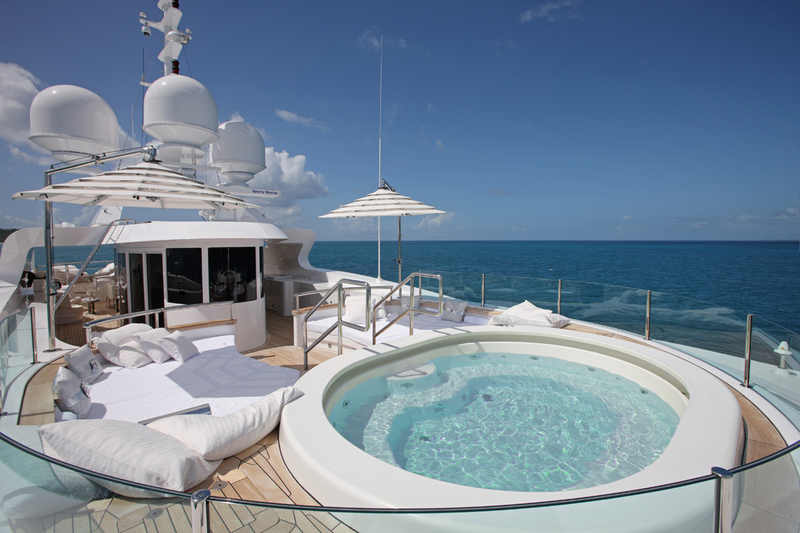 The Jacuzzi is surrounded by large cushioned decks that invite relaxation in the sun. A fully equipped cocktail bar is the ultimate luxury, with your favourite cocktails available day and night from the crew barman. After relaxing on the sundeck, head down to the beach club, with easy access to the water & jetskis and a huge area for relaxing. Take in views of the most spectacular off the beaten track destinations around the world from onboard 46 metre PIONEER, an experienced world adventuring yacht that’s given guests unforgettable experiences cruising Canada, Alaska and Greenland and North & South America, as well as the Caribbean and Mediterranean. The recently reconfigured split-level sundeck features a unique second upper level, a spacious open deck ideal for sunrise yoga or workout sessions. On the sundeck’s lower level, dine under shade at the 10-person table, enjoy cocktails in the lounge area, or relax in the Jacuzzi with adjacent sunlounging pad. 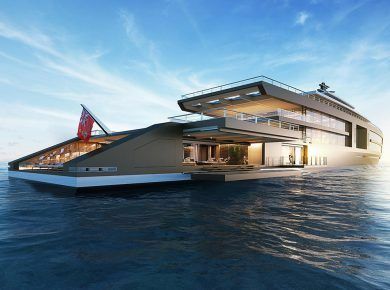 FLYING DRAGON’s vast sundeck spans 93sqm, making it one of largest on the water for a yacht of this size. 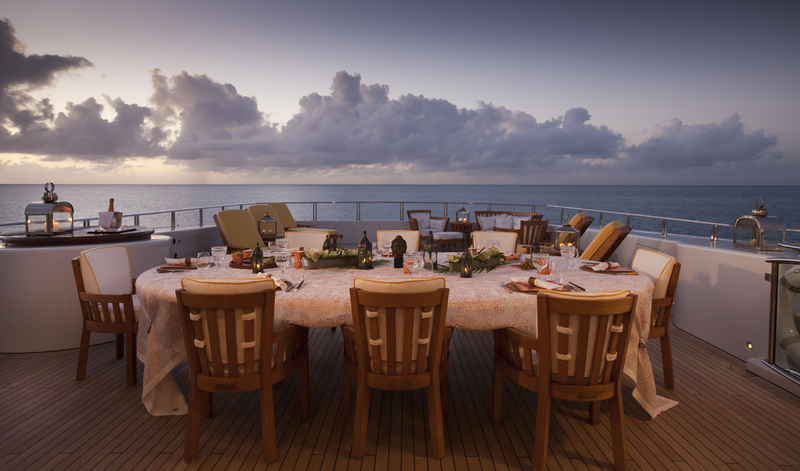 Dine on fresh produce, expertly prepared by the yacht’s award winning chef, at the shaded 12-person dining table. Sunbathe or read on the oversized sunloungers or enjoy coffee or cocktails in the lounge area. Cool off in the shaded Jacuzzi with drinks from the bar. Work out on the treadmill, taking in fresh air and incredible views. 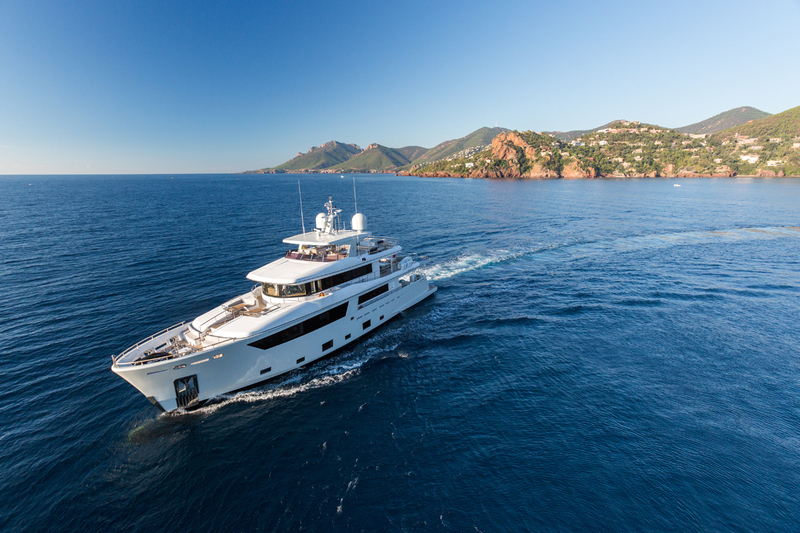 Offered for charter fresh from an extensive refit in 2016, MISCHIEF features a cool, chic interior complemented by spacious exterior decks. The sundeck is set up for al fresco workouts with panoramic views. Afterwards, cool off in the Jacuzzi and chill out on the many sunloungers. Various versatile shading options are available to suit all guests and sun preferences. Enjoy casual dining at any time of day. 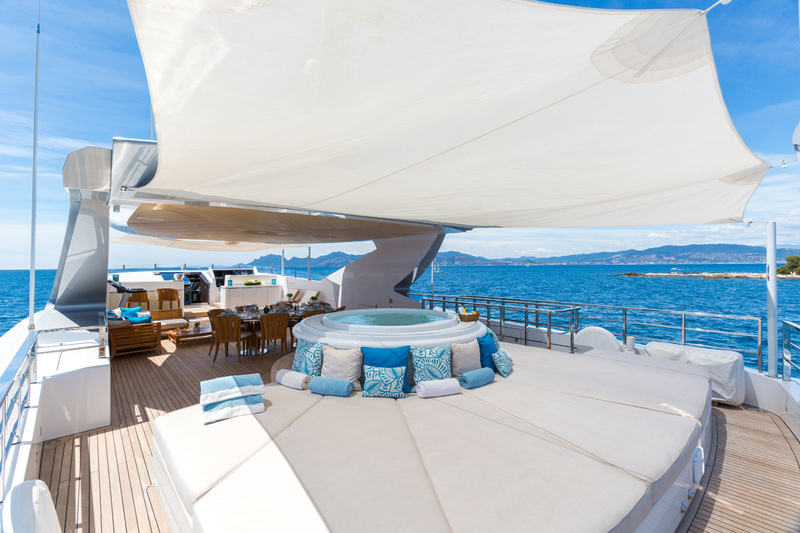 Large sunlounging pads and al fresco seating areas make this the ideal afternoon spot. 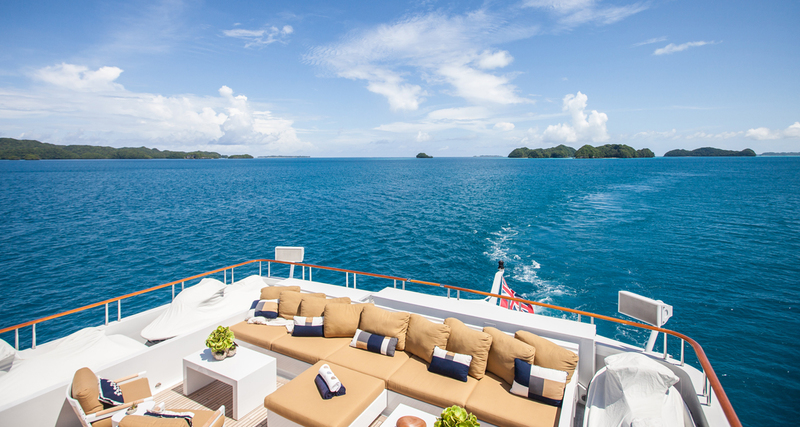 Enjoy the views of remote and adventurous destinations from the sundeck of NARVALO. With a total of over 50m² of outdoor deck space, NARAVLO’s large sundeck is a versatile space offering day to night living. A corner breakfast bar under shade is a great spot for starting the day or taking in the sunrise. 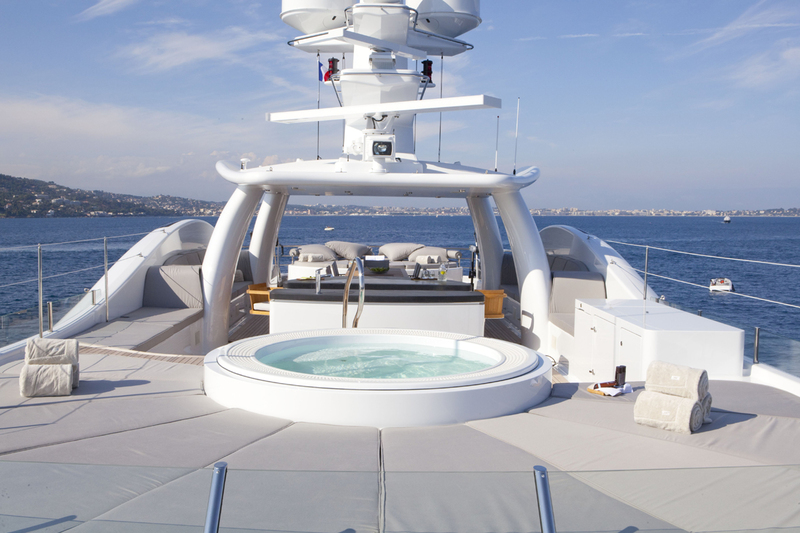 Aft, a large glass-edged Jacuzzi is surrounded by cushioned sunbathing areas and cocktail/coffee tables. Oversized sunloungers are the ideal afternoon reading spot, and the shaded informal table is perfect for fun family dining. A large plasma screen offers the possibility for al fresco movie nights or relaxed afternoons. 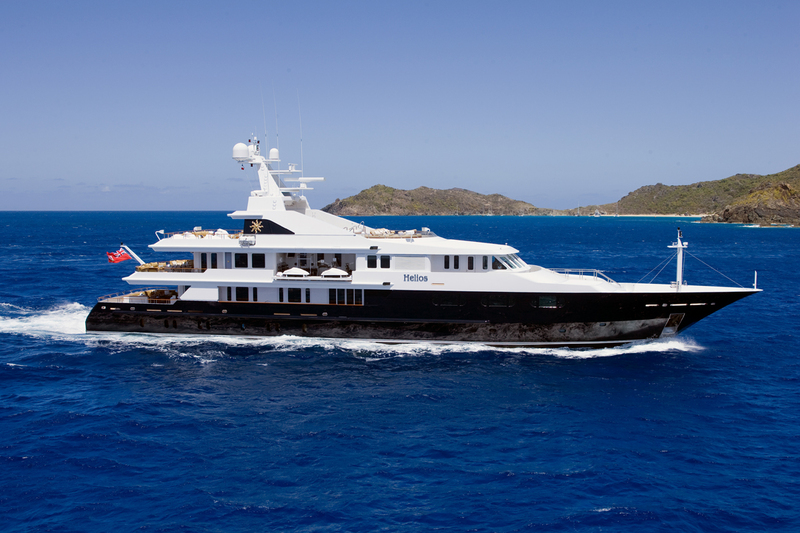 And don’t forget to check our other post describing top 10 expensive yachts in the world! 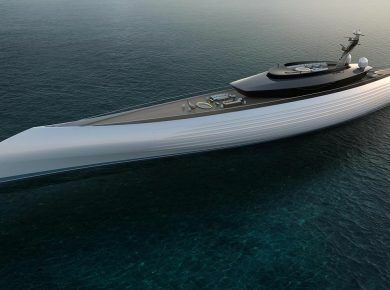 Indeed these are some great yachts! 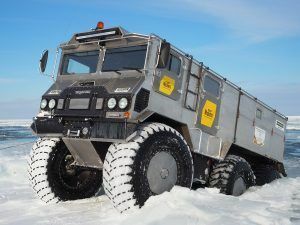 Quite big they support around 12 guests + the crew, renting one such beauty for an expedition would be around $95.000 non-season and $160.000 in the season. 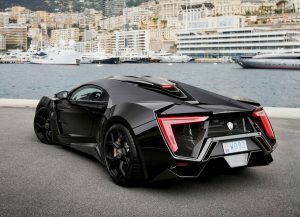 12 small business owners could aford such an expedition as a life experience and I believe that it’s totally worth it.